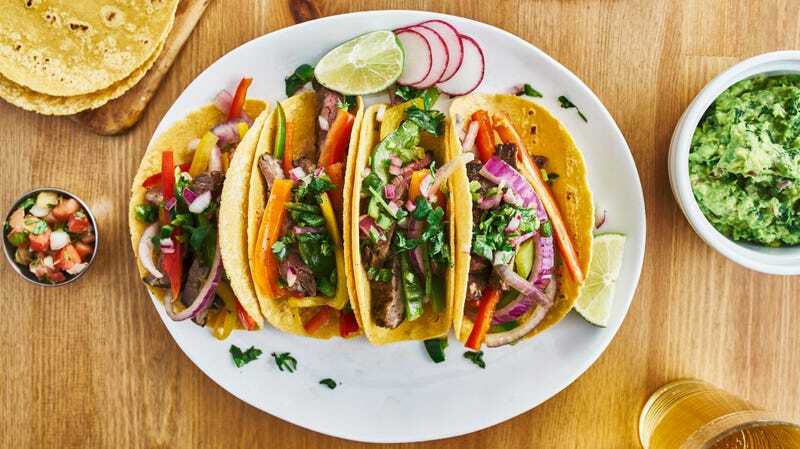 Last week, the Ballard Center For Economic Self-Reliance at Brigham Young University in Provo, Utah, decided to promote a Taco Tuesday event via its Instagram account. The post—since deleted, but preserved in screenshots—showed two male students dressed as tacos, wearing sombreros, and holding the flags of Argentina and Bolivia in their teeth. As one Twitter user named Olivia pointed out while sharing a screenshot of the original Instagram photo, “They don’t eat tacos in Argentina or Bolivia. Hispanic/Latino cultures aren’t interchangeable. Y’all should know better than to be this insensitive and dumb.” Another Twitter user named Tony responded to Olivia’s tweet, noting: “I’m Latino and this doesn’t bother me. But certainly they should be aware that it will bother some and take that into account, which they did and now they have learned to think a bit more about what they do. Just goes to show that not all Latinos are the same, in any case.” A Cinco de Mayo-pegged roundup of taco restaurants published in 2016 by Brigham Young’s student paper, The Daily Universe, is also illustrated by a student wearing a sombrero and a fake mustache. Food-with-a-side-of-SkeeBall chain Dave & Buster’s similarly faced criticism in 2014 for a Tweet promoting Taco Tuesday that read: “‘I hate tacos,’ said no Juan ever #TacoTuesday #DaveAndBusters.” The tweet was later removed. According to Brigham Young University’s enrollment numbers, the school’s student body is 82 percent white, 6 percent Hispanic, and 1 percent Black. Ask the Salty Waitress: What should I say to my friend who’s a terrible tipper?